Bird rescue volunteer Karen Sheldon peered down into a duckling box, a white wooden rectangle that has a small pool in one half and a dry deck with heat lamps in the other. Three little yellow-and-brown fluff-balls popped out of the water, cheeping, and huddled together in the corner of the deck. International Bird Rescue (IBR) is an aquatic bird rehabilitation center that treats more than 2,500 birds each year. Anyone can bring an injured aquatic bird here for medical care and treatment, until, ideally, it can be released back into the wild. 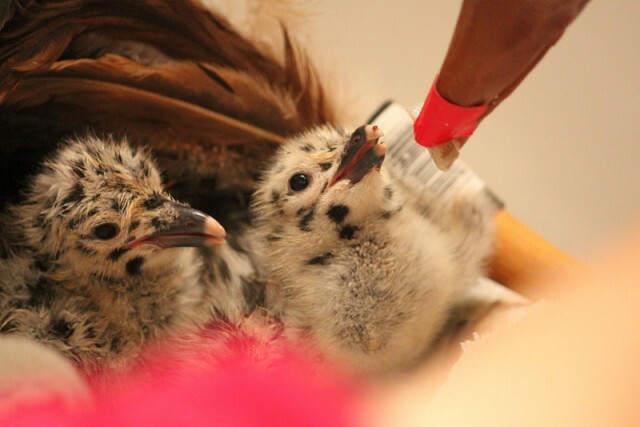 In early June, for example, IBR volunteers released four baby herons that had been injured when tree-cutters cut down their nests outside an Oakland post office. 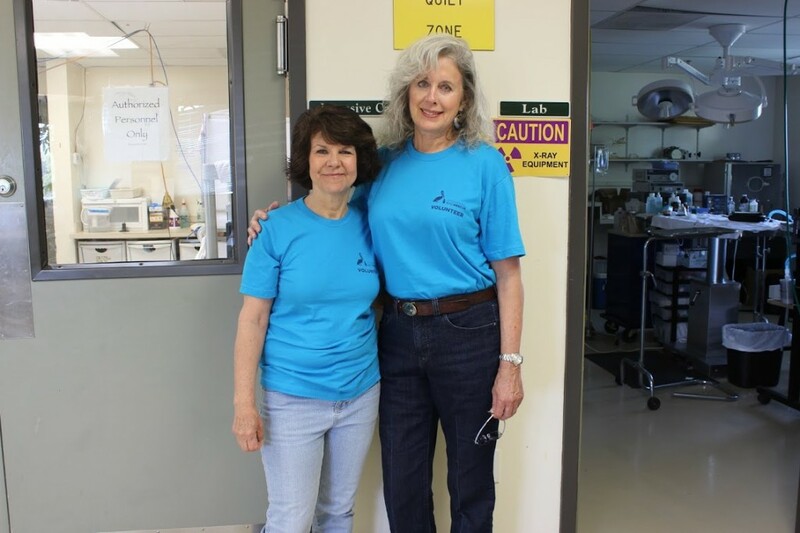 Most of the International Bird Rescue's workforce are volunteers, and they make a significant contribution to the healing and treatment process, said dental hygienist Martha Grimson, who has volunteered at the center for four years. 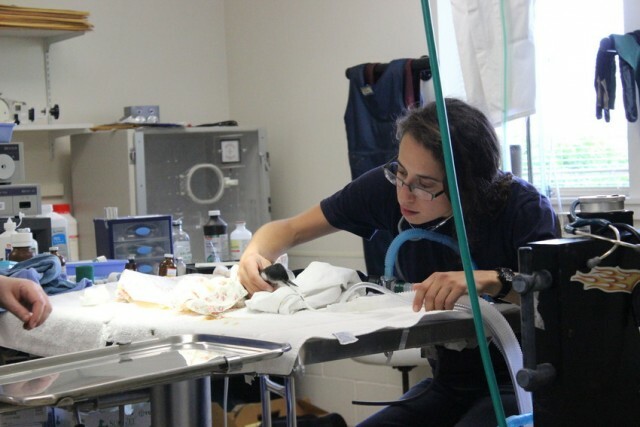 On one recent day, a volunteer did an examination of a large Canada goose, palpating the spine to feel for fractures, and stretching out the wing to look for evidence of fresh wounds or old ones. Meanwhile, other volunteers administered eye medicine to a gosling, and assisted the vet with surgery on an eared grebe. And that was a slow day, they said. Water birds often settle in residential areas, and then when the little ones hatch, the family must embark on a journey to find the closest body of water. On the way, they encounter cars, pets and storm drains, any of which can leave a baby injured or a group of babies orphaned. But Sheldon says a lot baby birds come into the center with humans who have unknowingly abducted them. “They’ve picked it up," Sheldon said, "They think now that they’ve touched it, this bird cannot be put back into the nest or be left for the parents and that’s just a misunderstanding." "Birds have a very poorly developed sense of smell," Grimson explained. "Most birds," Sheldon amended. Both volunteers agreed the best thing to do with a baby bird is return it to the nest, as long as the nest appears safe. Sheldon says after helping heal birds that have been hit by cars, shot, wrapped in fishing line or covered in oil, her prime motivation now is to help mitigate the human impact on birds, and see them return to life in the wild. On a bird-watching visit to Santa Cruz this year, Sheldon spotted one of IBR's birds, a pelican wearing a blue band. All birds treated at IBR get the blue identity band when they are released. This particular bird, Sheldon discovered, had been released near San Francisco about 16 months earlier. "It came in starving as a little juvenile pelican and stayed with us for just a couple weeks while it got fattened up," Sheldon said. "And here it is almost a year-and-a-half later down in Santa Cruz doing quite well." In other words, the pelican was behaving like a pelican, sitting with other birds, not begging for food from humans. "I still get chills thinking about this," Sheldon said.